Silhouette of people standing walking on the jetty near the beach watching and enjoying the beauty of sunset moment. hd00:20Silhouette of lovely family walking on the jetty near the beach during sunset moment. hd00:36Silhouette of people standing on the jetty near the beach photograph family portrait photo during sunset. 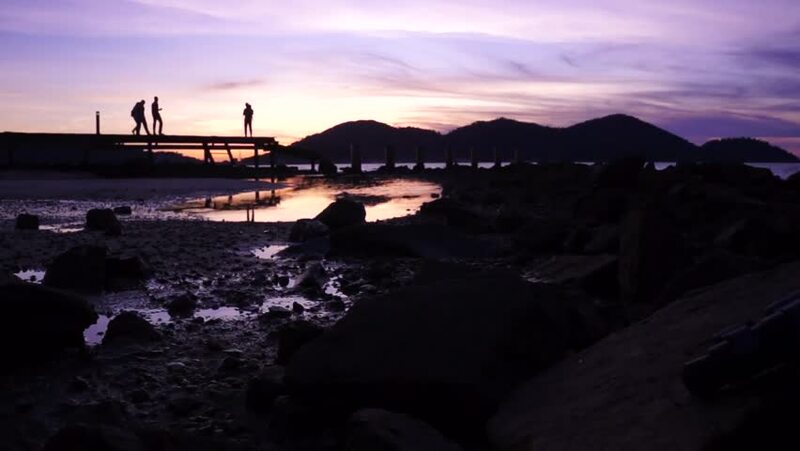 hd00:10Silhouette of father standing and holding his daughter on the jetty near the beach during sunset moment. hd00:32Silhouette of people standing on the jetty near the beach photograph family portrait photo during sunset.